Penn’s Village has discovered yet another fascinating neighbor. John Whitenight, author of the beautiful and captivating book, “Under Glass – A Victorian Obsession” will share his interest in and love of this little known Victorian decorative art. 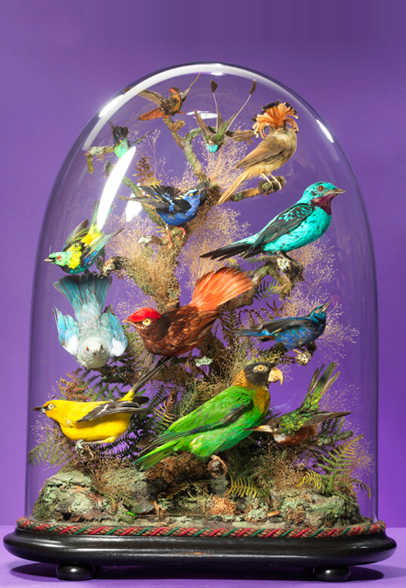 John, in addition to appreciating their beauty, has explored why Victorians preserved wax flowers, fruit, seashells, taxidermy and much more under glass domes for their family and friends, and future generations to admire and contemplate. The Atheneum has again offered their historical and lovely setting to Penn’s Village. The Atheneum is located at 219 South 6thStreet.The handicapped entrance is at the rear of the building. Please register by emailing info@pennsvillage.org. Although we prefer email, you may also call 215 925 7333 to register.There is no charge for Penn’s Village members and volunteers. We would appreciate a $5 donation from other guests.